Child support guidelines vary among states -- and these laws apply to members of the military, who must divorce in civilian courts and according to civilian laws. When military spouses divorce, the civilian divorce court issues a child support award to provide financial support for their children. For military parents, child support calculations and awards can be complicated because special rules apply. For example, military parents receive several types of allowances that a civilian court may or may not consider as income when establishing a child support amount. Military rules require military members to provide support for their dependents before a divorce is finalized, but military parents do not have to go to a civilian court to establish support orders prior to divorce. Each branch of the military establishes its own pre-divorce support rules to set the required support amount without going to court. For example, Army regulations set the required support amount based on the military housing allowance rates for the military parent's pay grade. The Air Force requires its members to provide adequate support for their dependents, but does not establish a set rate for the support, leaving rate determinations to the military member's commander. The civilian court that issues the divorce decree sets the child support amount based on the state's child support guidelines. Some states' guidelines take a set percentage of the noncustodial parent's income; however, the majority of states factor in the incomes of both parents and consider the family's pre-divorce standard of living, attempting to continue this standard for the children. Generally, even when one or both parents are in the military, the laws of the state in which the couple divorces is the law that controls the child support amount. However, parents may be legally able to divorce in more than one state because state laws also vary when it comes to jurisdiction over military members. For example, a military member can obtain a divorce in the state of his legal residence and also in the state where he is stationed. But those courts may not be able to determine child custody and support matters if the children do not live in the state where the parent files for divorce. Child support awards are set, at least in part, on the parents' incomes, but each state sets its own rules for military allowances and other categories of pay. For example, military members not living in government-provided housing receive a housing allowance, also called basic allowance for housing, or BAH. States can include a parent's BAH amount as part of the parent's gross income for child support calculation purposes. Similarly, the court can include military subsistence allowances and special skills pay income when it calculates the noncustodial parent's child support obligations. State courts typically include income withholding as part of their child support orders, and the military's pay agency, the Defense Finance and Accounting Service, recognizes these orders. Thus, garnishment of military pay to provide child support is allowed. However, federal law does not allow the garnishment of more than 50 to 65 percent of a military member's disposable earnings. The 50 percent limit applies if the military member provides proof that he is providing more than half the support of other dependents other than those included in the support order being calculated. The 55 percent limit applies if he provides proof of his support for other dependents, but is in arrears for child support. A 60 percent limit applies if the military member does not provide proof that he is providing more than half the support of other dependents but is not in arrears. The 65 percent limit applies if the military member does not support other dependents and is in arrears for child support. Can VA Disability Compensation Be Used to Calculate Child Support or Income? In addition to child custody, separating couples with children must figure out how to handle child support. While the law on child support varies from state to state, courts generally calculate child support according to their state's guidelines. Child support guidelines typically take both parties' incomes into account. 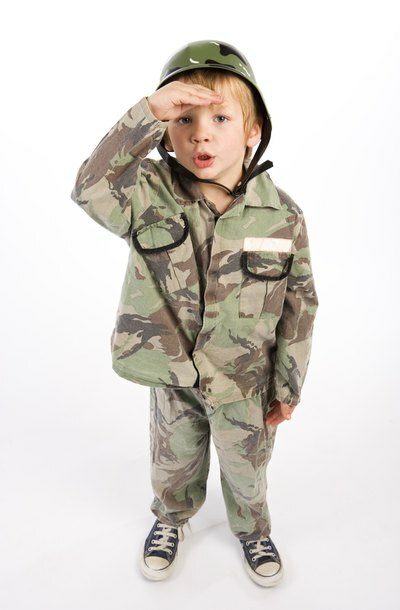 For purposes of calculating child support, income usually includes disability benefits from Veterans Affairs. Although the law typically protects VA benefits from garnishment, this doesn't always apply to child support.